Christmas Edition 2016 in gold, limited edition. 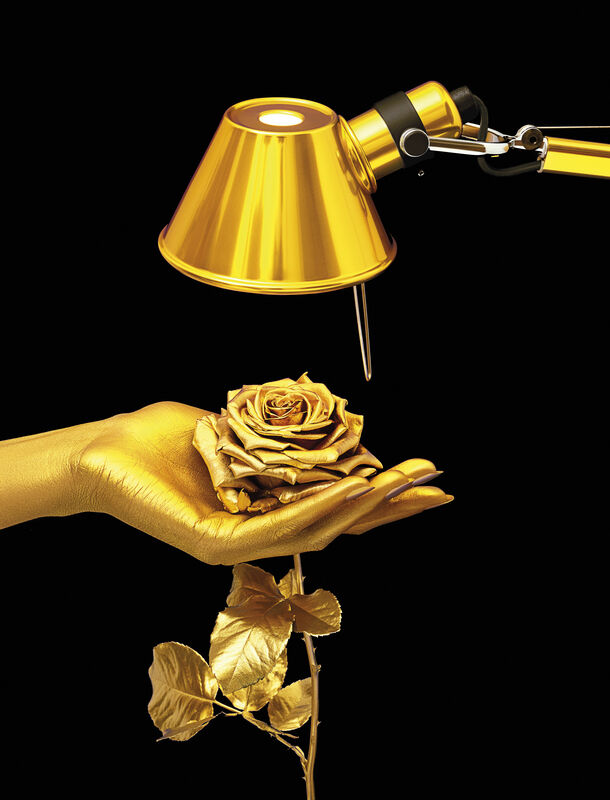 The best seller of Artemide is now available in a new Micro version. 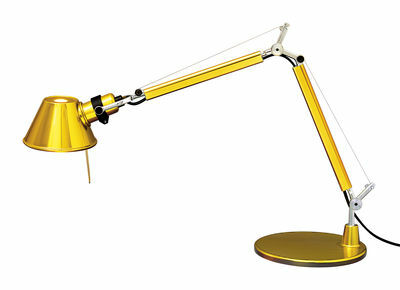 This table or office lamp designed by Michele de Lucchi is very convenient and elegant. The base, the structure with articulated arms and the adjustable diffuser are out of painted aluminium for coloured versions : black, red, grey, yellow, bronze, orange, turquoise, blue. In aluminium finish, base and structure are in polished aluminium and the diffuser is in anodic aluminium. Each element is meticulously worked: the kneecaps and supports are out of shining aluminium. 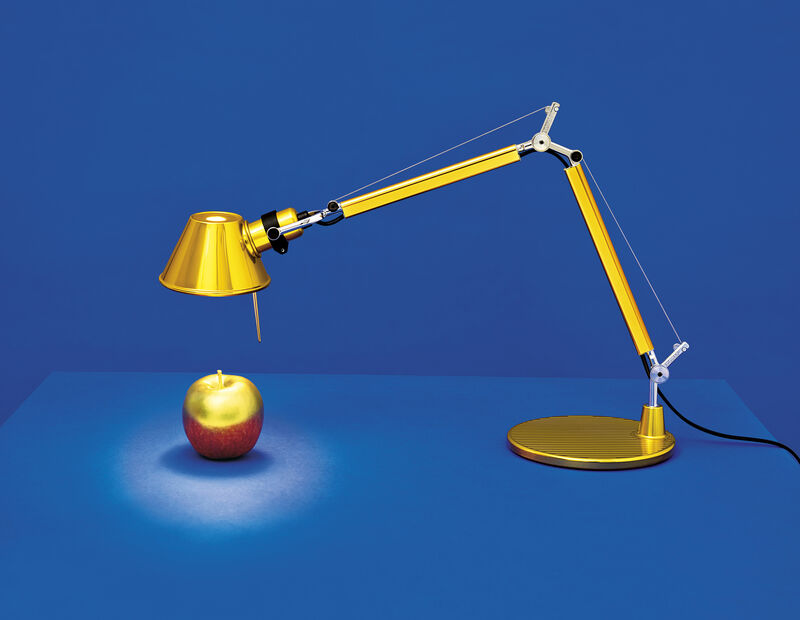 Lastly, Tolomeo is balanced by a system of springs.Base and cantilevered arms in polished aluminium, diffuser in anodised aluminium, joints and supports in polished aluminium. System of spring balancing.